“Look away. look away. Look away, look away,” unless you want to see the worst Paper Doll filled with Unfortunate disguises that only add to the everyday sorrow that we feel. Actually, this newest Paper Doll by Cory has to be one of the best I have seen in a while. Count Olaf and his costume collection are idolized printable paper doll inspired by the Netflix series “Lemony Snicket’s A Series of Unfortunate Events.” Not only do we have Count Olaf in all his horribleness, we also get Stephano, Captain Sham, and Shirley T. Sinoit-Pécer. To download this paper doll simply click the image below and save it to your computer. 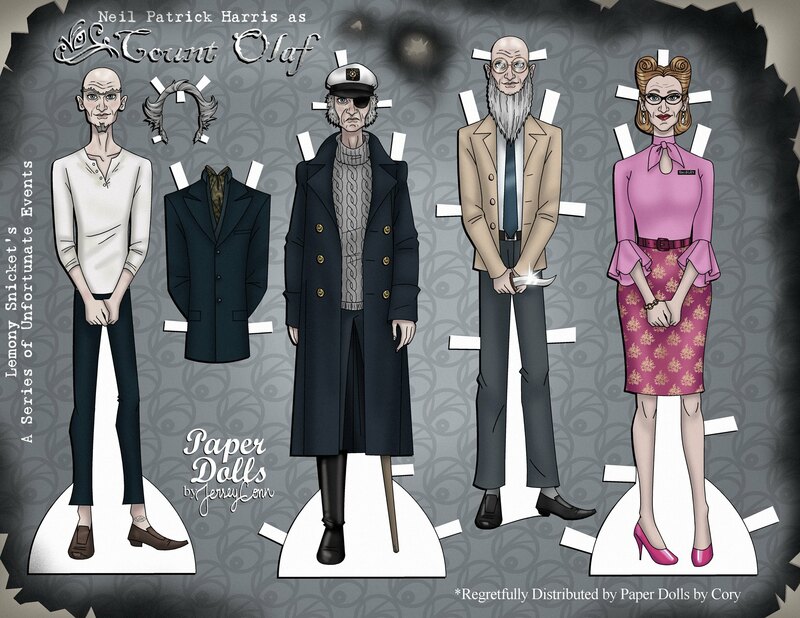 Then Print and create to make the Count Olaf Paper Doll. Be sure to see more of Cory’s Paper Dolls by going to his Facebook page Paper Dolls by Cory.